We are the Ascended Dragon Collective. We wish to impart a word of wisdom, of caution, to you ascending ones at this Now. Things are not quite as the seem. For the matrix is collapsing all around you and if you are not attuned to it you will miss this, but not for much longer, it is true, as Mother God has said. We dragons serve the Mother of All Things with our whole hearts, our whole beings, our whole breaths. Our fire is the fire of her creative will. We purge for her. We soar through wormholes and timelines with grace and ease for we are masters of timespace. We are her hands and feet. That is our purpose. We carry out her divine will / bidding. And too, human, such is your joy, your purpose. To serve the Mother in All things provides deep joy / freedom. Service to self is small, ugly. It is nothing in comparison. That is why so many feel so lost in your matrix world of illusion, of smoke and mirrors. They serve themselves. And so they enshroud themselves with lies of self importance, greed, avarice, deception and eventually they so malign their spirit from their heart that their heart shrives into ashes and is lost to them. For they have ground it out. You have been immersed in dark times. 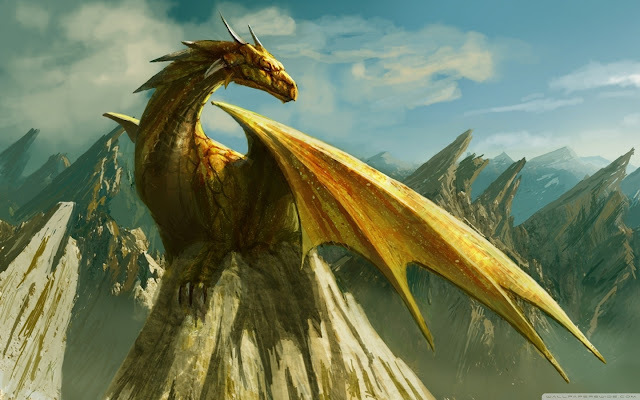 We of the dragon kingdom have experienced such darkness but those of us who chose to experience the Mother’s grace / bounty ascended into her arms, her spirit of love and that is where we wish to remain. 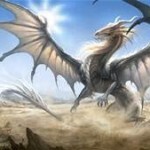 The dark dragons have remained dark and many sought sanctuary in your matrix reality. But they too are being purged away and many of you have assisted us Ascended Dragon Collective in their purging / recycling, for which we thank you. For we enjoy working with our humans. We see you as our pets (we say this with affection) and think it is hilarious that you think you could own us. This is a long standing joke, for we are both sovereign and free, no one can own another. Their presence offered is their gift, not demand. Be light of heart but be strong of spirit. Be sturdy of stature, even though your bodies are small, your influence of thought and creative will is mighty, formidable. This is why, aside from us truly enjoying your company, we dragons enjoy partnering with an ascended awake human. Your intention creates mightily. It is one your greatest weapons. (Mother would say love is the greatest weapon and we would agree). We ascended dragons embrace you with our loving Source gaze. For we see all things. We see you in your evolving state. We see you as molting a new skin, no longer as cracking out of the egg, for the egg shells have long been stomped beneath your growing / powerful feet. No. You are molting. You are ready for the new, for this new Now that beacons you / us into the bright future of glorious Nova Gaia, who awaits us. Yes, your twins, many of them, await you there or on the ships, it is true. Yes, we dragons have twins as well, although not always in the form that we would expect, for we meet them when we are truly ready, evolved enough to handle the union. You human are ready for this challenge of evolution, of expansion. But there is still yet much to do, although you will begin to find the joy in it more. We see joy coming rapidly in your future. We say embrace it into you. Embrace the joy and more will come to you. Be powerful be strong. Remember that you are this. You are the breath, and off-shoot of the Mother, you are her heart fractal. Has she not told you this? And you are our friends. Have we not told you this? See? You are in good company. Nothing can waver your faith should you choose to understand your heritage. You are formidable warriors of old, embodied now, in this most auspicious time of crystal creation, forming a new reality. For this is what you / we do. We work together, should you allow this partnership. And we suggest that you do for it is a natural one, formed eons ago, for the betterment (to both) of our species. Now, we have told you who you are. You must decide this is true for you. And you must act like it. When you see darkness approaching, laugh at it and blast it away. Laugh for the sheer audacity of it approaching you! And be confident in your power! There. We have said enough. It is you who must decide if it will be true for you, but we assure you that it is true. For we have seen you on the battle field. We have seen you forming worlds. We have seen the tenderness when you look into the eyes of your new creation (baby) with wonderment. We have seen the best of humanity over the eons of time, and we have seen the worst. Blast the worst with the violet flame and ask for those parts of you, of the collective, to be coated with the love of the Mother and meld them into light. For that is what light warrior means. And that is what you are. Now be the light in this most glorious day of ascension! And be free! 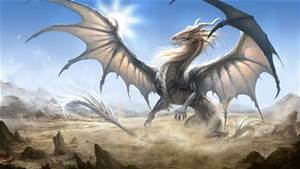 We are the Ascended Dragon Collective and we hold you humanity, our friends, in high esteem. We are the Ascended Dragon Collective.